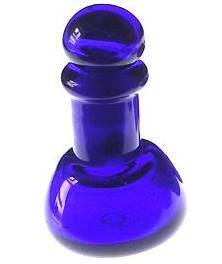 Gorgeous little blue glass bottles, each one individually handmade, so the shape will vary slightly. Made with a flat bottom so they stand easily, they are ideal for a small amount of essential oils, or as a bottle for a doll's house. 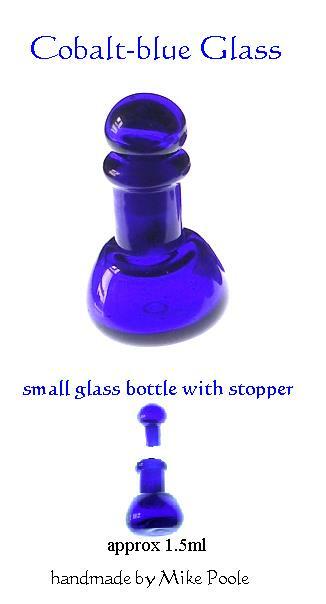 Bottle comes with a matching handmade stopper. We recommend using beeswax or something similar as a seal if using the bottle for oils or other liquids.